Pikes Peak, in the Colorado Rocky Mountains, towers over the entire area and can be seen from hundreds of miles away. 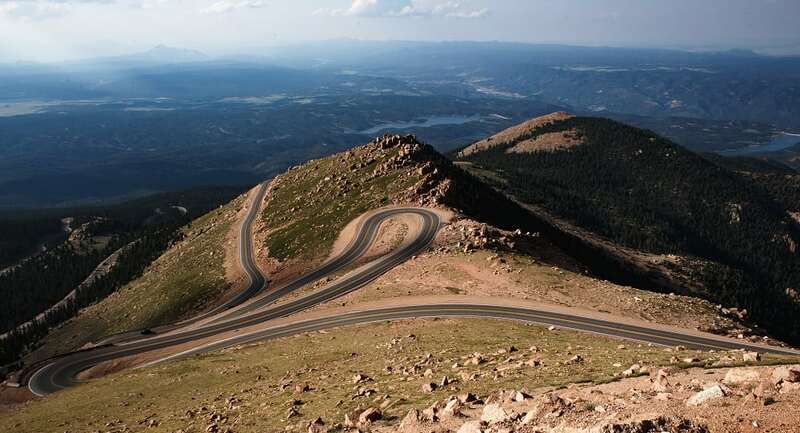 The Pikes Peak Highway is a 2-lane road ascending more than 6,000 feet to 14,115 feet. It’s beautiful but beware, Pikes Peak has such a high altitude, you should prepare yourself by drinking extra water, eating extra carbohydrates, wearing sunglasses and bringing your sun hat.